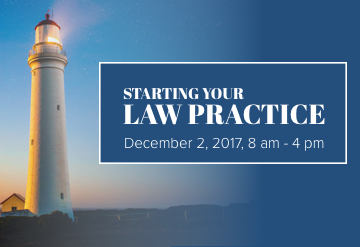 Starting a practice from idea inception, business plan, entity choice, setting up protocols and procedures, to deciding practice areas; this session offers practical steps and lessons from the trenches. WHAT NOW? TIE IT ALL TOGETHER! Various speakers from earlier in the day.